With the start of huckleberry season, I always like to feature as many huckleberry recipes as I can find. My husband found this Huckleberry Hand Pies for us. The original recipe called for blueberries …. but as a huckleberry lover, you know that huckleberries will make this recipe even better tasting!! To make the dough: Whisk together the flour, salt, and baking powder. Add the butter, working it in to make a coarse/crumbly mixture. Leave most of the butter in large, pea-sized pieces. Stir in the sour cream; the dough won't be cohesive. Turn it out onto a floured work surface, and bring it together with a few quick kneads. Pat the dough into a rough log, and roll it into an 8" x 10" rectangle. Dust both sides of the dough with flour, and starting with a shorter end, fold it in three like a business letter. Flip the dough over, give it a 90° turn on your work surface, and roll it again into an 8" x 10" rectangle. Fold it in three again. Wrap the dough, and chill for at least 30 minutes before using. To make the filling: Combine all the ingredients in a saucepan set over medium heat. Cook until the mixture starts to thicken, about 5 minutes. Transfer the cooked berries to a bowl and let cool to room temperature. Preheat the oven to 425°F; place a rack on the middle shelf. Line a baking sheet with parchment paper. To assemble the pies: Roll the dough into a 14" x 14" square. With a straight edge and pastry wheel, or a 3 1/2" square cutter, cut out sixteen 3 1/2" squares. Divide the filling among eight of the squares, using about a heaping tablespoon for each. Brush some of the beaten egg along the edges of each filled square. Cut a vent into the each of the remaining eight squares, using a decorative cutter of your choice. Top each filled square with a vented square, and press along the edges with the tines of a fork or a pie crust crimper to seal. Brush the top of each pie with the remaining beaten egg, and sprinkle with sparkling sugar. Transfer the pies to the prepared baking sheet. 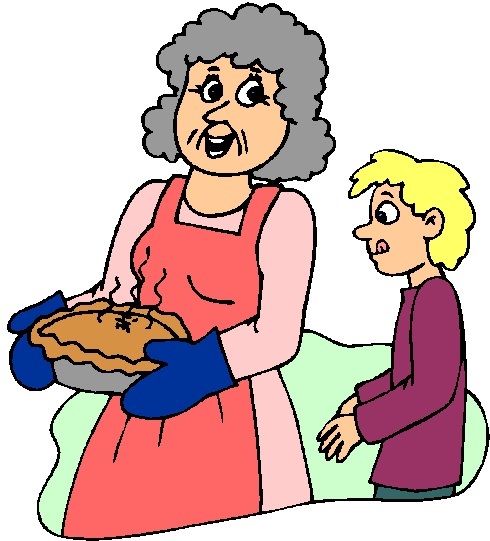 Bake the pies for 18 to 20 minutes. Remove them from the oven, and let cool for 20 minutes before serving. Looking for that easy to make Huckleberry Cream Pie — the one to die for? Well, we have it here!! And I, personally, have made it several times and it has always been a hit. Combine the first four ingredients above (not the pie filling). Once they are mixed well, fold in the pie filling. Spoon into a crust of your choice. Refrigerate any leftovers - if there are any!! “There is no shortage of huckleberry products out there …” writes Linda Stansberry in the North Coast Journal from California. I have encountered huckleberry candy and huckleberry barbecue sauce, and last week I drank some huckleberry tea. They’re all disappointing. Nothing matches the taste of an actual, freshly picked huckleberry. These tiny blue-black orbs take forever to ripen, but they have a unique tangy-sweet flavor that makes them perfect for pies and other pastries. To my great surprise, the harvester was a success! The claw slid neatly along the branches of the bush and popped the berries off one by one, leaving most of the leaves. Within in an hour I had come close to filling my little plastic container. Granted, the harvester didn’t distinguish from the ripe, the almost ripe and the green, and there were still plenty of leaves and pine needles in my bounty, but I was impressed! Her story is enjoyable …. and if you can’t find anything else of interest, make sure to check out her Huckleberry-Apple Pie Recipe!! Enjoy the full article!…. And save me a piece of her pie!! Preheat oven to 350 degrees. Combine peaches, huckleberries, lemon zest and lemon juice, and let the fruits absorb the juices for about 10 minutes. Next, add the sugar and flour. Mix gently and allow the mixture to sit for about 5 minutes. Spoon the mixture into a rectangular glass cooking dish or individual ramekins. Unwrap the sugar cookie dough. If the dough has pre-cut squares, squish each square so it is slightly flat, and place one on top of each ramekin (if there is leftover dough, go back and place a second squished square on each ramekin) or space evenly throughout the glass dish (in this case, the cookie dough should touch and slightly overlap). Place the dessert in the center of the oven and cook for about 40-45 minutes. The topping should have golden edges and the fruit juices should bubble. Serve warm with a scoop of vanilla ice cream. Make sure to visit the original site to view the video! If you haven’t already heard, President Obama loves Huckleberry Pie. Bill Yosses, the White House pastry chef, makes President Obama’s favorite Huckleberry Pie every Thanksgiving. Cathy Lynn Grossman, writer for USA Today, posted this special recipe (including a recipe for Ol’ Fashion Huckleberry Pie that she found on this website) . In a food processor, briefly pulse together the flour and salt. Add butter and pulse until mixture forms chickpea-size pieces, (3 to 5 second pulses). Add ice water 1 tablespoon at a time and pulse until mixture is just moist enough to hold together. Divide the dough into two equal amounts and form dough into balls. Then press down into a circle, wrap the circles with plastic, refrigerate at least one hour before rolling out and lining the pie pan. To prepare the pie shell, roll out the chilled circles on a lightly floured flat surface to about a 14-inch diameter. With one of the circles line a greased pie pan, leaving a 1-inch overhang. Chill the dough in the pie pan for at least 30 minutes and up to overnight. Roll the other disk of dough and refrigerate it until needed for the pie top. Prepare the filling recipe below and fill the pie shell with it. In a large bowl, lightly toss together the fruit, sugar sifted with the cornstarch, honey, vanilla extract, ground cinnamon, lemon juice and zest. Allow this fruit mixture to stand for 20 minutes. Fill the pie shell with the fruit filling. Remove the 2nd circle of chilled pie dough from the refrigerator and lay it over the filling, press gently to mold the top and bottom pieces of dough together. With the tip of a paring knife, puncture the top pie dough in a wide circle about 10 times to form steam vents. With a pastry brush, paint the top dough with egg wash and sprinkle with granulated sugar. Bake the pie at 375 degrees for 75-90 minutes or until the pie filling is starting to bubble out the vents and the top pie crust is golden brown. Remove to a cooling rack and allow to cool for 1-2 hours before serving. Diane Mortensen, who writes “Georgia’s Kitchen” for the Oskaloosa News, revised the Ol’ Fashion Huckleberry Pie recipe for the USA Today Weekend edition. Make your preferred pastry for a 9-inch pie pan. Combine fruit, tapioca, sugar and salt and let stand about 15 minutes. Line a 9-inch pie pan with 1/8-inch-thick rolled pastry. Fill with berry mixture. Top with remaining crust, cutting several slits to permit steam to escape. Bake for about 1 hour or until nicely browned. Select pie tins that are to be used & fill them evenly with berries to determine how many will be required. Throw berries in a pan, look over carefully. Remove all stems and wash berries. Drain off all the water from them and let dry in a towel. Wipe pie dishes clean, dust with a little flour in the bottom of each. Line them with a good paste. When ready for the berries, drain them once more and sift flour over them until each berry becomes a little white ball but be careful not to leave a surplus of flour in the bottom of the pan containing the berries. Allow a scant cup of sifted powdered sugar to each pie. Stir well into the fruit and turn the latter into pie plates. Cover each pie with an upper crust and press edges well together for much of the richness of the berries will be lost if the juices escape in baking. Bake about 1 hr and serve cold. Sift powdered sugar thickly over the top. Note: Flouring berries in this way, while still a little wet from washing will make just enough thickening to counteract the excessive amount of juice these berries are capable of giving off. The author of this recipe, Diane Mortensen, who writes “Georgia’s Kitchen” for the Oskaloosa News, revised the above recipe for the USA Today Weekend edition. Gently coat huckleberries in flour, then place in a pastry-lined pan. Spoon sugar evenly over berries. Sprinkle lemon rind and lemon juice over top. Dot with butter. Cover with top crust. Seal edges and cut steam vents in top. Brush surface with soya milk or cream, avoiding fluted edges of crust. Sprinkle with 2 teaspoons sugar. Bake in preheated oven for 15 minutes. Reduce heat to 350 degrees F (175 degrees C) and bake an additional 20 to 25 minutes, until crust is golden brown. Step 1: Preparation: Wash and drain the huckleberries. Cut the butter into small pieces. Step 2: Take a large bowl and mix in the sugar, cinnamon, tapioca and brown sugar. Step 3: Sprinkle flour on a rolling pin and roll your pastry. Make sure that you roll it at least 2 inches larger than the pie tin. This has to be one of my favorite pie recipes. It can be made in a hurry and can even be served warm with a topping of vanilla ice cream. This recipe is for huckleberries intended, but other berries can be substituted. 1 Place 1 cup of the huckleberries in the bottom of the baked pie shell and set aside. 2 Mix the sugar and the cornstarch in a small bowl until well mixed. Set aside. 3 Mix 3 cups of the huckleberries and the water in a medium saucepan, bring to boil. 4 Add the sugar and cornstarch to the saucepan with the huckleberries stirring constantly to prevent scorching. Boil until thick. Remove from heat. 5 Add the butter and the vanilla to the huckleberry mix and stir well. Pour sauce over the 1 cup of huckleberries in the baked pie shell. Cool, serve, and enjoy. 6 If you don’t have huckleberries you may substitute other berries in this recipe. Keep in mind juicier berries may require a modification to the amount of corn starch. Huckleberry Pie PIE-A-DAY #55 Ann Kirk is the Pastry Chef at Dominick’s and Little Dom’s. Just got off the phone with my mom who has just arrived in. Combine flour, salt, and sugar together. Cut in butter until it is the size of small peas. Add vinegar to ice water and toss just enough into dough to form a ball that holds its shape. Add more ice water if needed. Divide dough in half, wrap in plastic and chill for 20 minutes. Roll one round of dough out and place in pie tin. Chill. Roll second round out, place between parchment or plastic wrap on a sheet tray and chill while making the filling. In a large bowl, combine huckleberries and lemon juice. In a medium bowl, combine granulated sugar, brown sugar, tapioca, cinnamon, and ginger. Whisk to combine. Add sugar mixture to huckleberries and fold with a spatula to combine. Let macerate for an hour or so. 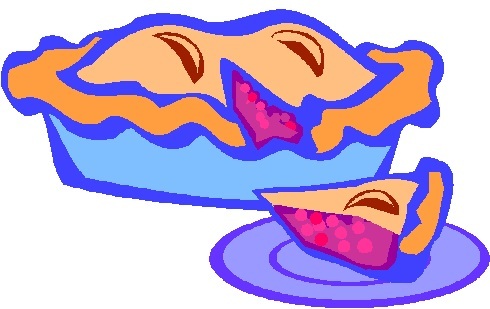 Fill pie shell with huckleberry mixture, place butter cubes on top, and place top pie shell over all. Cut off any excess and crimp bottom and top dough together. Vent top by making small slits with a paring knife. Optional: make an egg wash combining an egg yolk with a tablespoon of milk and brush over the top crust. Bake at 425 degrees for 15 minutes, lower temperature to 375 degrees and continue baking for 25 minutes or until crust is golden and juices bubble up and have a jam-like appearance. Remove from oven and cool at room temperature. You are currently browsing the archives for the Huckleberry Pie category. 118 mySQL queries in 0.204 seconds.